The first Georgian International Insurance Conference took place on 14 March 2019. The event put under scrutiny the current status and the future development perspectives of the local market, in an attempt of identifying the main growth opportunities. The forthcoming launch of the mandatory MTPL system was the most important topic on the agenda, as this new line of business has the potential to provide for a significant growth, but also to become a market disruptor. To the satisfaction of its traditional guests, FIAR returns in 2019 to its historical hometown, Sinaia. The forthcoming edition will benefit from the comfort and professional facilities of a new venue, the Conference Center of the International Hotel ****, located in the heart of the beautiful mountain resort. Registration is opened at a significantly discounted early bird rate until 28 February. Fausto PARENTE, Ante ZIGMAN and William VIDONJA - keynote speaker at the "Croatian Insurance Days"
Fausto PARENTE, Executive Director, EIOPA, Ante ZIGMAN, DSc, President of the Management Council, Croatian Financial Services Supervisory Agency and William VIDONJA, Head of Conduct of Business, Insurance Europe are the keynote speakers at the 2018 edition of "Croatian Insurance Days". In emerging markets like Turkey, there can be a significant difference between insured and total insurable losses. Focusing on closing the protection gap, the 10th International Istanbul Insurance Conference gathers in Istanbul, between the 4th and the 5th of October 2018, well-known speakers from Turkish and the global insurance & reinsurance markets. The XVII-th edition of the November Business Meetings (NBM) of Reinsurers will take place on November 21-22, 2018 in Moscow, at "Novaya Ploschad" Business Center, the already traditional venue of the event, since 2012. Today has started in Moscow the 1st National Reinsurers Summit "National Reinsurers: Focus on global cooperation". Organized by the Russian National Reinsurance Company (RNRC) with the support of the Central Bank of the Russian Federation, the conference has the xprimm.com insurance portal as Media Partner. On September 13, 2018, the Insurance Supervision Agency of Ljubljana organized its 4th conference on insurance. The subject of the event was Insurance in the Digital Future. Visit the event's web page to see the conference materials and photo gallery. LIVE from Monte Carlo: The 62nd edition of the "Rendez-Vous de Septembre"
The 62nd edition of the "Rendez-Vous de Septembre", the annual traditional meeting of reinsurers starts Sunday in Monte Carlo. XPRIMM Publications covering the CEE, SEE and CIS insurance markets are available at the XPRIMM stand in Fairmont Hotel, as well as at the most important venues in Monte Carlo. Only 5% of cyber losses are insured, estimates Christian Fuhrmann, chief executive of global clients/North America, Munich Re. Very complex by nature and continuously changing, cyber insurance is one of the biggest challenges for insurers, he said. Despite the high losses from 2017 the reinsurance market is still soft, James KENT, Global Chief Executive Officer (CEO) of Willis Re stated at a press briefing in Monte Carlo. Catastrophe risk modeling firm AIR Worldwide released a new severe thunderstorm model for Europe. Together with AIR's Extratropical Cyclone Model for Europe and European flood models, this new model now allows for a comprehensive assessment of atmospheric risk in this region. Worldwide, most major non-life insurance markets are in a phase of below-average profitability, according to the latest sigma report from the Swiss Re Institute, "Profitability in non-life insurance: mind the gap", that presents the existing earnings gap in the non-life insurance sector. "As the world economy struggles to produce strong sustainable growth, and with the rising pressure on governments to increase public spending on welfare and services, there has never been a more important time for the re/insurance industry to step back and provide solutions to reduce the insurance protection gap", according to AON's Global Insurance Market. ICIR - The International Center for Insurance Regulation will host on 15 November 2018, at the House of Finance in Frankfurt, Germany an event dedicated to the latest market and regulatory developments in the insurance markets of the Western Balkans. Dr. Andy Kuper, founder and CEO of LeapFrog Investments, has received the 2018 Founder's Award and Gold Medal from the International Insurance Society for his pioneering work. He was honoured for LeapFrog companies reaching 130 million people in a decade. International Insurance Society (IIS) will open two regional offices till the end of this year -in London and Singapore, to expand its global footprint, has announced President & CEO of the IIS, Mike MORRISEY at this year's Global Insurance Forum in Berlin. We have gathered the representatives of all stakeholders in the insurance industry from more than 50 countries to enhance exchanging ideas and offer solutions to international community about new technologies and to share knowledge, stated Mike MORRISSEY, President and CEO, International Insurance Society at the annual edition of the Global Insurance Forum. Having enjoyed rapid growth since its inception in 2014, the Insurance AI and Analytics Europe Summit returns to London in 2018 (9th - 10th October). The event is organized by Insurance Nexus and supported by XPRIMM Publications as Media Partner. 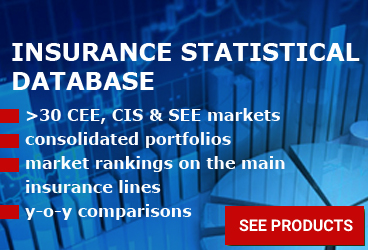 Romania is the first country from the Central and Eastern Europe - CEE to host the Annual Insurance Europe Conference, the federation of insurance and reinsurance associations. The event will take place on May 23, 2019, in Bucharest. The VIth edition of the main event dedicated to the insurance markets of Azerbaijan and the Caucasus region, Insurance Conference of Azerbaijan, took place in Baku, on 20-32 June, under the titles "Insurance in Azerbaijan: New perspectives". "Insurance in Azerbaijan: New perspectives" Conference works are continuing today in Baku. The second day of the event is dedicated to the new opportunities for MTPL market in Azerbaijan. 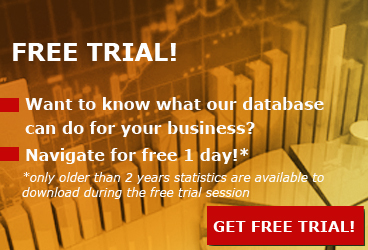 FRISS will host on Wednesday, 20 June a 30 minutes webinar, by Karlyn Carnahan (Celent), looking at the role of fraud analytics tools as an enabler of customer experience. Registrations are opened. 5th Annual Insurance Business Forum "Challenges of the Year 2018"
The upcoming Forum, supported by the All-Russian Union of Insurers (ARIA), will logically continue a detailed discussion of the most pressing issues previously raised at ARIA events in 2018: Insurance and Reinsurance International Congress in Moscow and Insurance International Conference in St. Petersburg. Today, at PensionsEurope Conference 2018, Ms. Ana Carla Pereira, Head of Unit for Modernisation of Social Protection Systems at the European Commission, presented the main findings of the 2018 Pension Adequacy Report (2018 PAR) and 2018 Ageing Report (2018 AR). Insurance Europe's 10th International Conference, taking place today, 24 May, in Madrid, Spain, focuses on "Overcoming underinsurance" and gathers insurance professionals and representatives of authorities from all over Europe. PensionsEurope believes that private pension saving should be encouraged to compensate for potential lower state pension benefits. In particular, we support a regulatory environment encouraging workplace pension membership, Matti LEPPALA, Secretary General CEO, PensionsEurope & Chair, OPSG of EIOPA stated on 16 May, at FIAR. The major trends in the development of motor insurance, including telematics and pay-as-you-drive solutions, were among the topics debated during the third part of the Motor Insurance Conference taking place at FIAR 2018. The first and second parts of the Motor Insurance Conference taking place at FIAR 2018 focused on the new MTPL Law in Romania and the way it changed the market after almost 1 year of implementation, as well as the consequences of the new legislative framework and the operational challenges this brings, but also the most suitable solutions for balancing regulation, insurers' appetites and customer expectations on the MTPL market. Are the insurers and the brokers ready for the GDPR challenge? What effects will GDPR have on the Romanian insurance industry and on consumers? What are the main issues in implementing GDPR? These were just a few of the topics debated during the GDPR Workshop taking place at FIAR 2018. The second part of the REINSURING NATCAT RISKS Conference taking place at FIAR 2018 focused on the best solutions for closing the NatCat insurance gap. Christian KREUTZER, Head Market Underwriting CEE, Swiss Re Europe, and Evgeny POTOKOV, Senior Underwriter South Eastern Europe, SCOR Global P&C Deutschland were among the speakers that joined the debates. NatCat exposure versus coverage, the largest natural catastrophe risks affecting Europe, as well as the best solutions for closing the insurance gap were just a few of the topics analyzed during the REINSURING NATCAT RISKS Conference taking place at FIAR 2018. The second part of the Brokers' Conference taking place at FIAR 2018 analyzed the impact of European Union's legislative overhaul - IDD & GDPR -, also bringing into debate study cases and real-life scenarios of what the brokers face on the market, and, last but not least, trying to see whether digitization and InsurTech could truly lead to disintermediation. The second day of debates at FIAR 2018 started with The Brokers' Conference, the event dedicated to the mediation market in Romania and in the CEE region. The first part of the conference focused on a market overview and also analyzed the challenges of the IDD implementation, as well as the potential impact of IPID for MTPL and PAD. The 21st edition of the International Insurance-Reinsurance Forum was officially opened on Monday night, with the XPRIMM Reinsurance Awards. The INSURANCE IN A DIGITAL WORLD Conference, taking place at FIAR 2018, brought into debate the impact of digitization on the insurance industry. The first part of the conference focused on risks & opportunities of digitalization for both industry and consumers, as well as case studies and best practices: BigData & IoT, BlockChain, Peer-to-Peer, and AI. During the second part of the Insurance Market Trends Conference, taking place at FIAR 2018, the debates focused on the current situation in Romania and the sustainable development for a growing and stable insurance market, as well as the challenges and opportunities for the local insurers. The first part of the Insurance Market Trends Conference taking place at FIAR 2018 brought into debate the changing insurance landscape, as well as the CEE markets in the European insurance landscape, but also the concept of mutual insurance and its benefits for shareholders. After the traditional Welcome Cocktail taking place on 13 May, the 21st edition of the International Insurance-Reinsurance Forum continues today with two top-notch conferences and multiple bilateral meetings. The Official Opening of FIAR 2018 and the XPRIMM Reinsurance Awards Gala also take place today. Why should you participate at FIAR 2018? With an exclusive list of professional speakers, 7 conferences and workshops analyzing current trends and issues on the re/insurance markets, as well as hundreds of bilateral meetings and networking opportunities, FIAR 2018 represents a key event on the business agenda. What re/insurance professionals are already on FIAR 2018's list of speakers? Specialists from ICMIF - International Cooperative Mutual Insurance Federation and PensionsEurope, representatives of national insurance associations from Austria and Turkey, as well as professionals representing SWISS Re, GEN Re and AUDATEX are just a few of the speakers who have already confirmed their presence at FIAR 2018 - The International Insurance-Reinsurance Forum. Insurance professionals from all over Europe gathered on Tuesday, 17 April, in Zagreb, Croatia, at the "Challenges and Practice of Insurance Supervision in South East Europe" conference. The event represents a unique forum for an open dialogue between insurance companies and insurance supervisory authorities of the SEE region. The XXII International Reinsurance Conference has started today in Moscow, organized by Delovoy Format, with the support of the Russian Insurers Association. XPRIMM, the traditional Media Partner of the conference, has launched on the occasion the latest edition of its Insurance Profile Russia, providing for 2017 insurance statistical data. The "IIF 2018 - PROPERTY INSURANCE - the NatCat challenge and beyond", taking place on Friday, 23 March, in Prague, bought into debate the NatCat insurance gap, but also the newly developed aspects of the manmade property risks. The European Consumer Protection Conference, taking place on Thursday, 22 March, in Prague, brought into debate the consumer environment in the current European regulatory and economic landscape, the upcoming legislative changes that will benefit consumers and users of insurance and private pension products, as well as digitalization and the impact of technological advances in the field of financial services. Insurance professionals from all over Europe gather today, 16 March, in Vienna, to participate at the "IIF 2018 - MOTOR INSURANCE - the innovation challenge" conference. Industry professionals from CEE gathered on 22 February, in Macedonia, at the "IIF 2018 - CEE & SEE - Regional Actuarial Insurance Conference", to analyze the current reality of the actuarial job. The 7th EIOPA Annual Conference takes place today in Frankfurt am Main, Germany. A review of the current supervisory covergence issues and of the prospects of the Pan European Personal Pension Product are on the event's agenda, together with analyzing the ways in which regulation may enable innovation. "The Russian insurance market is ending a difficult year," Igor ALEKSEEV, Chairman of the Steering Committee of November Business Meetings of Reinsurers, Deputy Head of the Reinsurance Department, INGOSSTRAKH said today in Moscow. "IIF2017 - Insurance in the DIGITAL World" conference brought together in Vienna well-known insurance professionals from all over the world who analyzed the latest digital trends in the industry, taking into account the fast digitalization of the financial services providers' world, in particular in the insurance field, which is creating both huge opportunities and strong challenges for the players. On 9 November has started in Opatija, Croatia, the 2017 edition of the Croatian Insurance Days Conference, the traditional meeting of the Croatian insurance top professionals with their European peers. XPRIMM Publications are supporting the event as Media Partners. The Baden-Baden meeting, one of the key events in the reinsurance calendar, has just set the final point of this year's edition. XPRIMM Publications have reported from the meeting's premises. Let's recap! Central and Eastern Europe insurance markets are an important source of business for Lloyds, total premium income from this region increasing by EUR 64 million since 2010, pointed out the Lloyd's representative in a seminar dedicated to CEE insurance markets: "We are seeing strong growth from Czech Rep, Poland, Slovakia and Ukraine. At the same time are some contractions from Russia, Bulgaria, Romania and Hungary due to challenging trading conditions as political implications and other sanctions". Asian insurance market, especially the Indian market - are considered to be "the new El-Dorado" of the global re/insurance market, with rapidly expanding markets and an dynamic environment: "Indian P&C re/insurance markets are expected to grow at a pace of 15% per annum", according to Victor PEIGNET, CEO, Global P&C, SCOR SE. The French -based reinsurer setted-up its Indian branch in 2016, after the authorisation from the local market authority - IRDAI. India's re/insurance market has become more attractive for global companies following the relaxation of regulatory requirements, and lately, "big names" in the industry entered the market by opening branches: GEN Re, SCOR, Lloyd's of London, MUNICH Re, SWISS Re, Reinsurance Group of America (RGA), HANNOVER Re, XL Catlin and others. "2017 looks set to become the most expensive catastrophe loss year ever for the P&C sector, mostly due to the hyperactive 2017 hurricane season," finds the Viewpoint Report - Winds of change launched yesterday by JLT Re. The main effect after the Q3 nat cat bill of over USD 100 billion: Global reinsures said - the "discounts and reductions in tariffs era" especially in European reinsurance market for the January 2018 renewals, will come to end. At the same time, some reinsurers might disappear and there are likely to be more mergers, acquisitions and run-offs processes. E+S Ruck - responsible within the Hannover Re Group for German business - expects to see premium growth in the German market for the upcoming round of treaty renewals as at 1 January 2018. Global reinsurer MUNICH Re pointed out today in Baden-Baden the huge insurance gap between economic and insured losses resulting from recent natural hazards. "In our business we are more than used to disruptions [...] But the pace of disruption has been amplified by new sources of data and by the increase in the power to collate this data", James NASH, the President, International of GUY Carpenter stated during his opening address at the Reinsurance Symposium in Baden-Baden on 22 October. On Sunday, 22 October, insurers and reinsurers from all over the world met at the 9th edition of the Baden-Baden XPRIMM Reception, the traditional event organized by XPRIMM during the Baden-Baden Meetings in Germany. Already on its 9th edition, the Baden - Baden XPRIMM Reception, the traditional event organized by XPRIMM during the Baden-Baden Meetings, took place on Sunday, 22 October, at Kurhaus Casino, gathering re/insurance specialists from all over the world. The Azeri reinsurance company AzRe hosted an official reception at the Annual Baden-Baden Reinsurers Meetings dedicated to its 10th anniversary. Re/insurance specialists from the European region gathered, on 18 October, at the 14th edition of the International Catastrophic Risks Forum - ICAR 2017, to analyze the broad theme of climate change and catastrophic risks management. The "Current Challenges for Insurance Markets and Supervision in the Central, Eastern and South Eastern European region" Conference, organized by FMA - the Financial Market Authority Austria, continues today in Vienna. Insurance professionals, as well as representatives of the local and regional authorities, gather on 12-13 October in Vienna, Austria, at the "Current Challenges for Insurance Markets and Supervision in the Central, Eastern and South Eastern European region" Conference. Professionals and specialists from the Turkish and the global insurance and reinsurance markets gathered between the 5th and the 6th of October in Turkey, at the 9th International Istanbul Insurance Conference. In emerging markets like Turkey, there can be a significant difference between the insured and total insurable losses. Parametric insurance is a smart way to close this protection gap. While the traditional products cover an insured loss, parametric products provide financial protection for various expenses from financial liabilities to contingent loss of profit which, in return, decreases the economic loss burden following a CAT event. The trends in the insurance industry is the main topic addressed during the two-day event taking place on 21-22 September 2017 in Shanghai. The 61st edition of the "Rendez-Vous de Septembre", the annual traditional meeting of reinsurers ends today in Monte Carlo. The Nat Cat insurance protection gap, as well as the global insurance market readiness to deal with the increasing complexity of the cyber risks were among the most debated topics. The latest edition of the XPRIMM Motor Insurance Report was launched in Monte Carlo, on the occasion of the "Rendez-Vous de Septembre", provind FY2016 statistical data and analisys for the CEE, SEE and CIS regions. MONTE CARLO: Live news from the "Rendez-Vous de Septembre"
The 61st edition of the "Rendez-Vous de Septembre", the annual traditional meeting of reinsurers has started yesterday in Monte Carlo. XPRIMM publications on the CEE, SEE and CIS insurance markets are available at the XPRIMM stand in Fairmont Hotel as well as at the other event's venues. Swiss Re forecasts growing demand for new reinsurance solutions that help clients manage their portfolios and expand into new segments and markets, company's officials said at the press conference that took place Monday, in Monte Carlo. In the wake of the decision by the United Kingdom (UK) to leave the European Union (EU), insurers that access EU business through their UK companies have begun to unveil plans to establish additional subsidiaries, primarily in Ireland, Luxembourg or Belgium, according to an analysis presented by AM Best during Rendez-Vous de Septembre. Most reinsurers gathered in Monte Carlo have expressed their concern with the lack of proper insurance protection of properties around the world, especially that the latest events have once again shown that climate change is a real challenge. 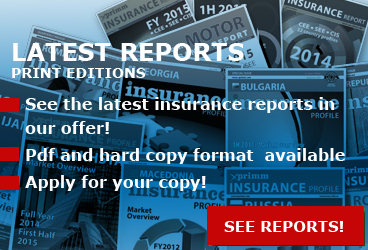 The United States is one of the most insured countries in the world and yet, in 2016, almost 50% of the economic losses sustained from natural disasters remained unprotected, Aon's Reinsurance Market Outlook report launched in Monte Carlo shows. "Insurtech could be an enabler rather than a disruptor of the traditional insurance model" is the Aon's latest Global Insurance Market Opportunities (GIMO) report finding. The report launched today examines key areas of potential growth for insurers. Natural catastrophe losses remain largely uninsured worldwide - even in highly developed markets, MUNICH Re's reinsurance experts consider, the recent examples of Harvey or the floods in India both confirming the large gap between the economic and the insured losses. Swiss Re has surpassed Munich Re as the world's largest reinsurer (from the reinsurance gross premiums written -GPW - in 2016), a position that it has not held since 2009, according to the AM Best rankings presented in Monte Carlo. Almost 50% of the industry practitioners consider the risk of "silent cyber" exposure—potential cyber-related losses due to silent coverage from insurance policies not specifically designed to cover cyber risk—as growing over the coming year, according to a study of Willis Re, presented during a press conference in Monte Carlo. The Reinsurance industry is well capitalized with 605 billion as of end of June 2017, 2% up from the end of 2016. But sustained growth in reinsurance demand is dependent upon increasing the relevance of insurance to the global economy, according to the Reinsurance Market Outlook report launched by AON Benfield during the Rendez-vous de Septembre in Monte Carlo. AIR Worldwide will launch in 2018 a severe thunderstorm model for Central and Eastern Europe, according to Dr. Milan SIMIC, EVP and Managing Director, Global Business Development Insurance Solutions of VERISK Analytics. The model will cover Estonia, Latvia, Lithuania, Poland, Czech Republic, Slovakia and Slovenia. Regulatory changes brought by the IDD Directive, as well as digitalisation and innovation in the insurance sector are just a few of the topics discussed at the "Consumer Protection in New Era - Innovation vs. Regulation", that took place on 4 September, in Ljubljana, Slovenia. The 2017 edition of the Global Insurance Forum, an industry benchmark event organized by IIS- the International Insurance Society - ends today in London, after three days of debates. XPRIMM supports the Forum as Media Partner. "Insurers have to play an important part not only in managing current risks, but also in modelling the future by contributing to a better understanding of risks, to closing the insurance gap and setting an example of responsible investment policy," HRH The Prince of Wales said in his welcome address at GIF 2017. "Brexit and the Future London Market: Renaissance or Bust?" is the topic proposed by the Global Insurance Forum's organizers in the beginning of the event's first day. 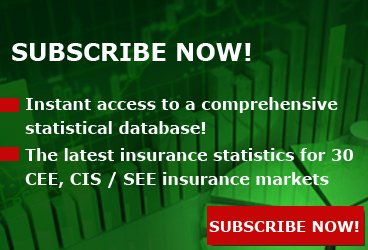 The "Developed Market Dynamics Panel" has reviewed the main coordinates of the changes driven by the global economic environment's evolution and the technological progress in the insurance filed. The panel titled "Leaders of Tomorrow: Engaging and Developing Our Emerging Talent" has put under debate the talent crisis' issue, exploring the means of getting young professionals more interested by the insurance field. The panel titled "Emerging Markets Outlook" has explored the current status and the growth perspectives in the emerging insurance markets. The fast increasing relevance of the cyber risks, as well as the disrupting effect that digitalization will have on the insurance industrymade the main topics of the "InsurTech: Innovating for Growth" panel. Spreading understanding of the central role that proper insurance has in building disaster resiliency is the theme of the International Insurance Society's (IIS) Global Insurance Forum. XPRIMM is Media Partner of the Forum. Follow us to get live insights from the event's proceedings. Hosted by NTT Data, Monday took place in Munich, Germany, the third edition of the International Insurance Forum series dedicated to the property insurance issues: "The Nat Cat challenge". Participants from 13 countries have attended the event produced by XPRIMM. The 2017 edition of the XPRIMM Property insurance report has met its first readers on the occasion of IIF 2017 - The NatCat Challenge, the event which took place on 26 June, in Munich. Ukrainian Federation on Insurance and the digital economy and fintech focused Future magazine with the support of the German (GDV), the Austrian Association of Insurers(VVO) and the League of Insurance Organizations of Ukraine held the first edition of the Insurance NEXT'UA 2017 in Ukraine Conference. The event was dedicated to the preconditions for digital changes in the insurance market of Ukraine and the world. Basic concepts about inclusive insurance and microinsurance, global best practices and the place of microinsurance in the Solvency II regime are just a few topics analyzed today at the "Inclusive Insurance and Microinsurance" Conference taking place in Ljubljana. "The Kazakh market increased by 26% in 2016, while claims rose by 125%," Zhanat KURMANOV, Director, Insurance Supervision Department, National Bank of the Republic of Kazakhstan said in Almaty. "RNRC is ready to play an active role in the EEU reinsurance markets' integration," Mikhail SEPP, Vice-President, RNRC said at the "Insurance in Central Asia" conference in Almaty, Kazakhstan. "Developing online sales and fraud reduction are among the main priorities of the Russian market in 2017," said Dmitry KUDLOV, Head of the Methodological Unit of Voluntary Insurance, Insurance Supervision Dept., NBR. "There is a strict financial discipline in the Green Card system and Kazakh motor insurers should prepare to observe it," Jean ZENNERS, President of CoB stated. "MTPL is the most complex product of the market, is providing social security and it is in the public interest," said Sergej SIMONITI, President, Insurance Supervisory Agency, Slovenia in Almaty. USD 3.6 billion is the reinsurance capacity of the Russian market, while in Kazakhstan the capacity is of USD 1 billion, Ekaterina TOLSTOVA, Associate Director, S&P Global Ratings said in Almaty. "In 2016, there were 62.000 claims made by Polish drivers outside the country," Mariusz WICHTOWSKI, President, Polish Motor Insurers Bureau said at the International Conference "Insurance in Central Asia". The XIth International Conference "Insurance in Central Asia" took place between April 13-14 in Almaty, Kazakhstan. XPRIMM reports were available at the conference stands.